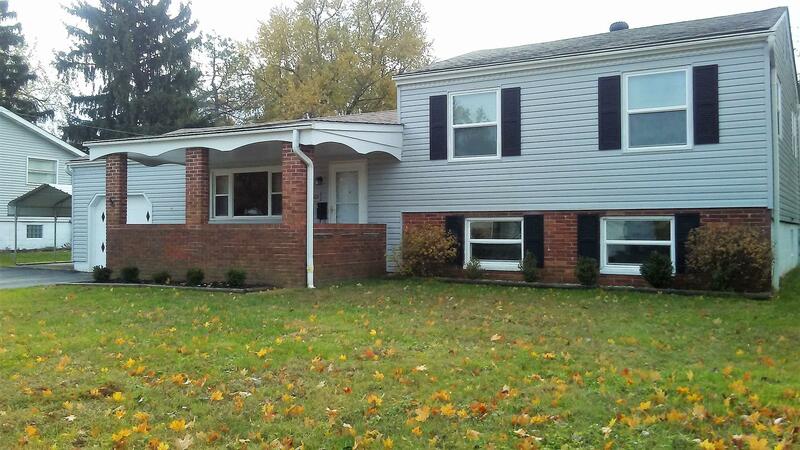 Easy-living split level home in Reynoldsburg School district. One car attached garage PLUS covered carport. Front covered patio and a covered back patio. Hardwood flooring in great room and upstairs bedrooms. Master bedroom has convenient access to the full bath Lower level provides a roomy family room, bedroom and laundry/half bath . Whole house attic fan. New A/c 2018; Siding replaced in 2014 along with 7 new windows. The roof was replaced in 2011. Kitchen was remodeled in 2015 and repainted 2018.